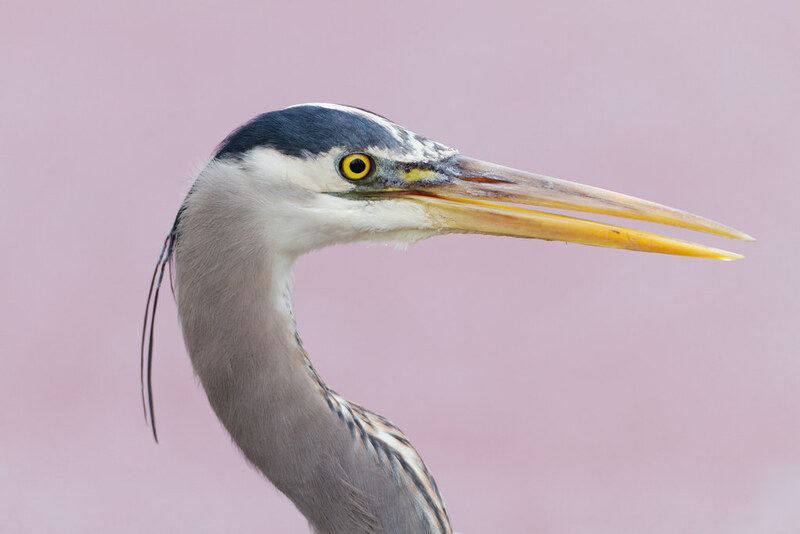 For a month in early 2011, I often saw this adult great blue heron hunting for small fish in the same location at Ridgefield National Wildlife Refuge. I looked for it every time I drove the auto tour, as the duckweed in the slough was turning red instead of green, providing a pink backdrop in the soft overcast light rather than the more common greens and browns and blues. My last day in Yellowstone had been wonderful, but I was hiking down from Mount Washburn on my last hike of the day and would soon leave for home. I stopped in my tracks when I heard a sharp noise to my left and was rather surprised to see a black bear eating seeds from pine cones in the tree beside the trail. The tree was on a steep hillside so even though the bear was at the top of the tree, we were almost at eye level. I made enough noise to be sure it knew I was there, but it didn’t pay me much heed as it tried to eat as many seeds as it could without moving from its perch in the tree. It would snap branches to bring pine cones closer if need be, or just stretch way over as it did here, all surprisingly at ease for a creature so large on branches so thin. 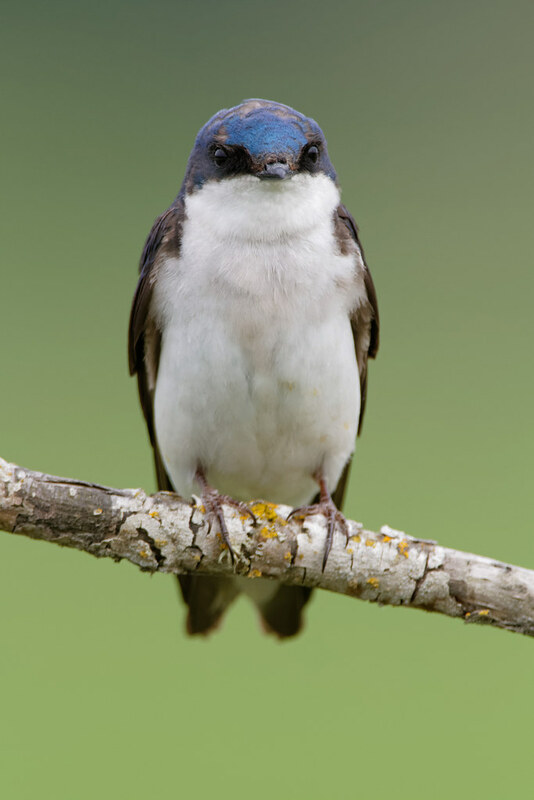 A tree swallow takes a brief respite from hunting insects over Long Lake. Sunrise at Horse Lake, frozen solid on a cold January morning. After falling in love in Yellowstone with the colors and patterns of Mammoth Hot Springs, later the moss of the rain forests of the Olympics, then the bark of the ancient redwoods of California, I finally merged my love of small details in a larger landscape with another and greater love, the wildlife I had been shooting for years. I dreamt of taking this picture for many months before my trip to the Tetons and Yellowstone, thinking I might get a shot at it in Yellowstone, but instead I found a bison herd near the road on my last morning in the Tetons and was able to photograph from the safety of the car. Afterwards I was so nervous I could barely bring myself to review the pictures on the camera to see if I had gotten the picture I so hoped for. When I came to this picture of one of the bulls, I stopped worrying and left for Yellowstone full of joy. When I was in graduate school and just getting into wildlife photography, I spotted a pair of unfamiliar ducks at the Virginia Tech Duck Pond. They only stayed for a day or two before migrating on, but I was a bit puzzled as to their identification as they didn’t quite match anything in my guide book. 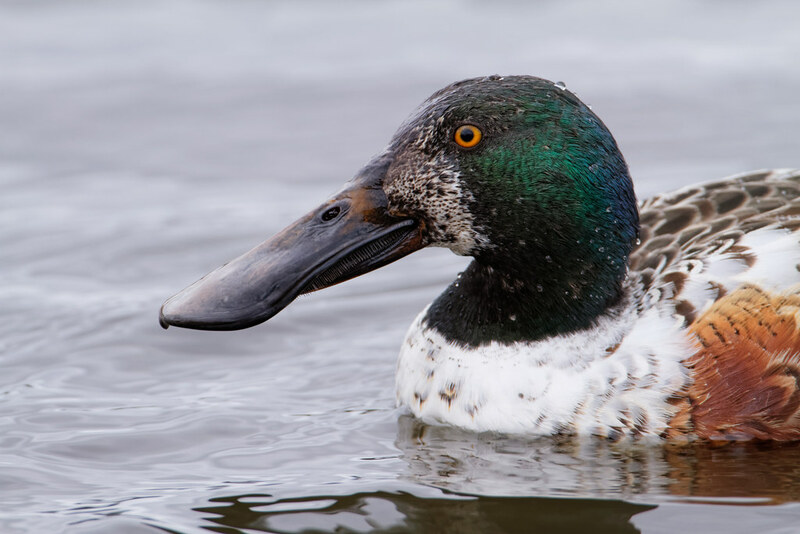 I guessed (rightly so) that they were northern shovelers as nothing else in the book had a bill quite like theirs. I later learned that they were in non-breeding plumage, while my guide book only had their breeding plumage. When we moved to Oregon I was delighted to find shovelers here in the winter, so now I get to see them on a regular basis, and am still amused by the variety of plumages I see within the same group of shovelers. This male for example, even though it was late winter, still has signs of his intermediate plumage. With that bill, though, there’s no mistaking him for anything but a shoveler. As time passes more and more of the dead trees at Ridgefield succumb to the slough. Upon returning to the refuge after a long absence, I noticed this tree in South Big Lake had finally fallen. 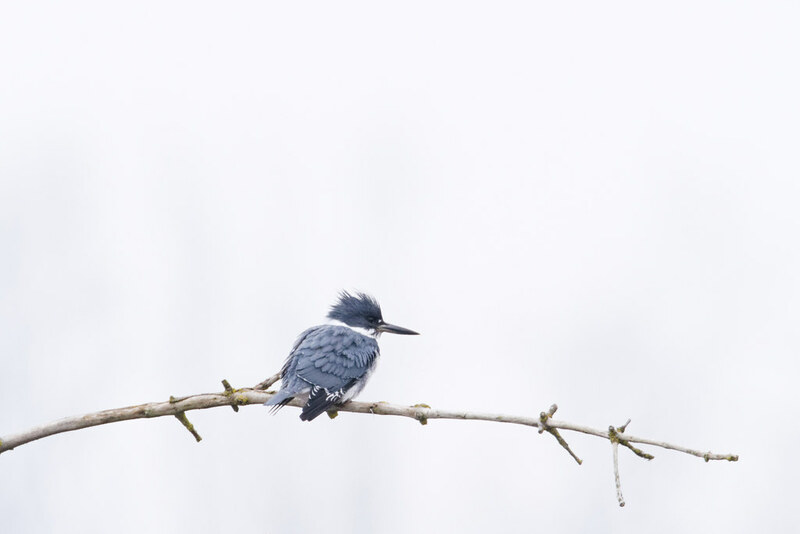 It was too far from the road to ever be a favorite of mine but I did shoot it occasionally, such as this portrait of a kingfisher on one of its branches from a few years ago, set against the overcast sky.